It’s full steam ahead for our 11 YEA! student who, within just a couple of months, are already well on their way to becoming the CEO’s of their own companies! Over the course of the last month, our young entrepreneurs have taken a deep dive in creating a business plan and finalized their business ideas. Recently, our YEA! 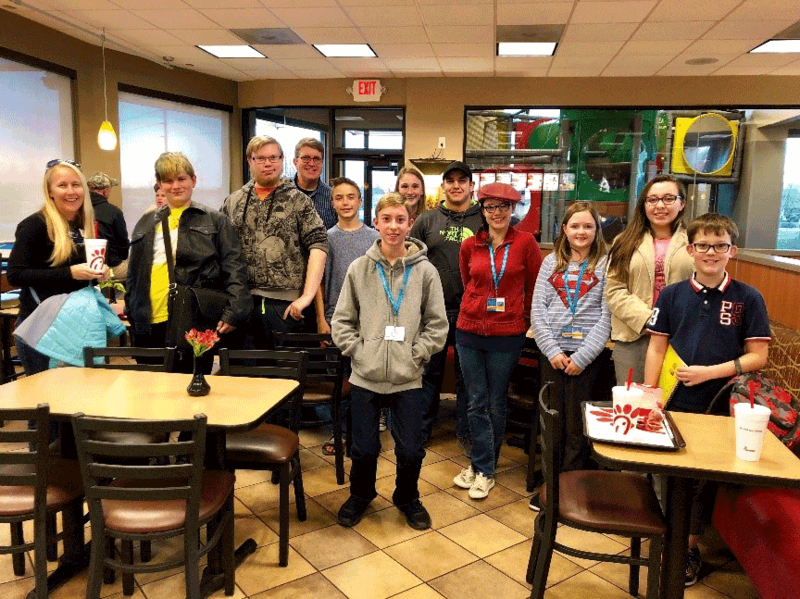 students were lucky enough to take a field trip to Chick-fil-A, where they learned all about Chick-fil-A’s unique franchising structure. 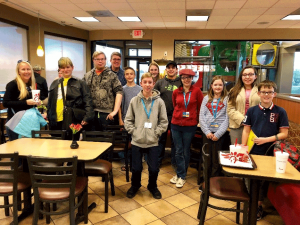 Grand Junction Chick-fil-A Owner Joe Walsh provided our students with a firsthand entrepreneurial experience, teaching them about all the hard work and dedication it takes to run a successful business. As a non-profit organization, the Grand Junction Area Chamber of Commerce YEA! program relies on the generosity of the community and of sponsors; people who identify with entrepreneurship and want to help pave the way for future entrepreneurs. Some help the student businesses get off the ground while others provide in-kind support or volunteer their time and services. For more information on how you can get involved with the Young Entrepreneurs Academy, contact Darcy Weir at 970-263-2916 or Darcy@gjchamber.org.